Its all green and I do not just mean coinmarketcapsteemCreated with Sketch. A friend recently told me about something cool they have been doing with micro-greens. 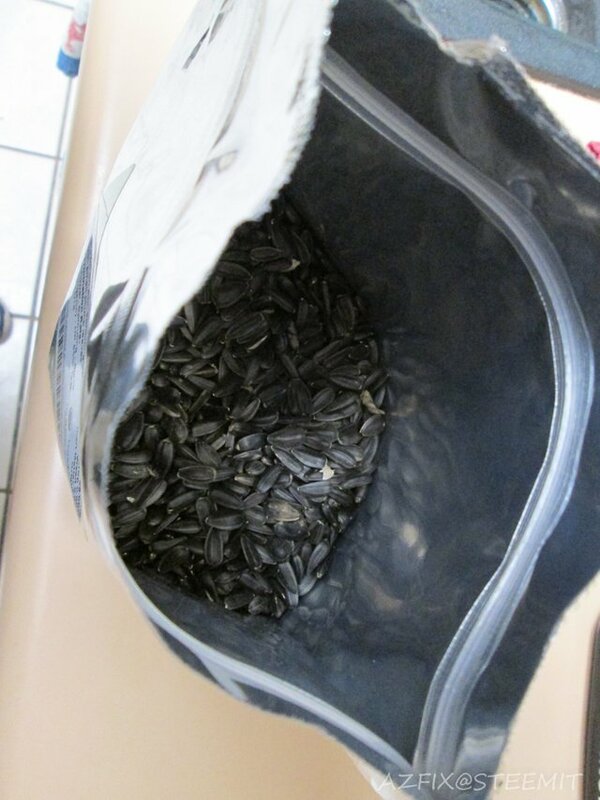 Basically you take seeds soak them overnight and then plant them. The first three days you let them grow in the dark and then give them sunlight or a plant light. Once you get to about the seventh or tenth day you cut them and eat them in a salad or any dish you would like to add them to. 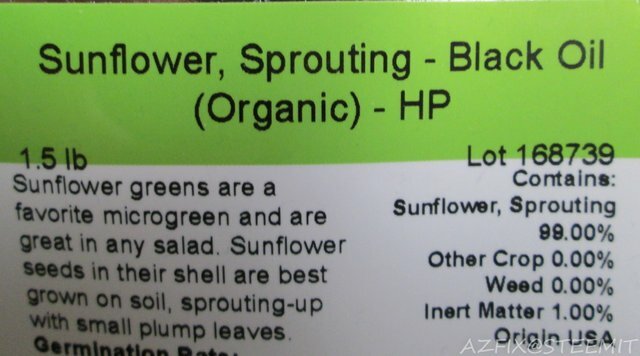 When you eat them so young they are tender and full of nutrients and the taste is pretty mild so you do not notice them if you add them in your salad. I planted them a little to close together and should have put them in a 5x5 tray or something similar. Its a great way to get started with vertical farming and crops are ready in as little as 7 days. 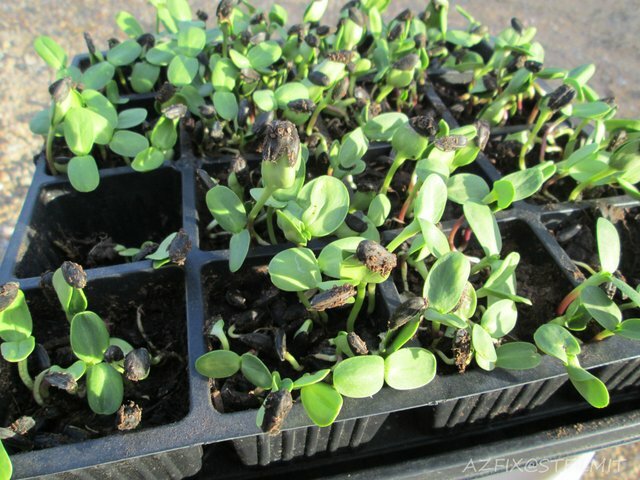 In my case I decided to use sunflowers for the seeds I planted to produce the micro-greens in the photos. 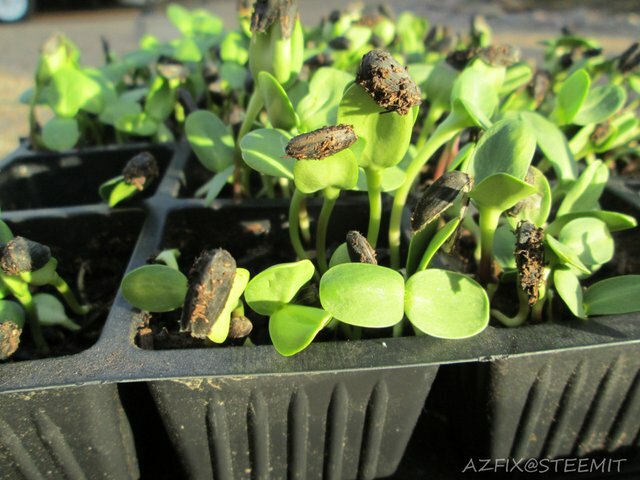 You can use seeds such as radish,broccoli,cabbage and the list goes on. I am told that the radish micro-greens can taste a little spicy although I have yet to give them a try. Have you tried micro-greens or are you thinking about it? Pretty cool man, I like it. Never tried it myself though. Its a really awesome way to get your greens, its worth a try if you have a little time. Good-looking “micro-green”! It’s great that you plant them for your salad…. It’s not take too long in planting and it’s free from chemical! Great! I ended up planting a few of the sunflowers, so lets hope they make it to full size and produce some nice flowers. I have not tried any yet. I watch a master sushi chef on Youtube that uses micro greens. You should give it a shot, I purchased the seeds on amazon but you can probably find better deals locally. @azfix You have received a 100% upvote from @botreporter because this post did not use any bidbots and you have not used bidbots in the last 30 days!